Do you have friends or family dropping by this holiday season? 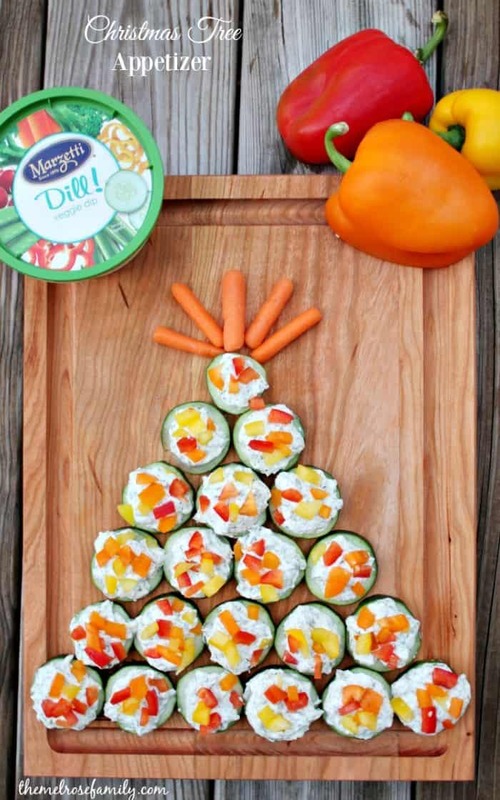 These Vegetable Christmas Trees with Marzetti® Veggie Dips are a perfectly easy and adorable appetizer to serve up in a snap. You’ll even have the kids wanting to eat their vegetables. It’s a win-win! We have friends and family routinely just dropping in around the holidays and the last thing I want to do is not have some sort of appetizer for them to snack on. That would just make me the worst hostess ever, right? 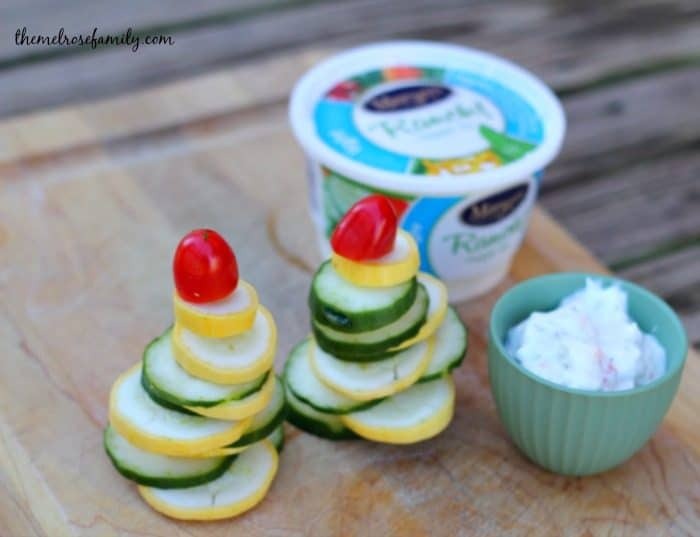 In order to have a fun appetizer and not have to be in the kitchen the entire time making it, I’m able to whip up these Vegetable Christmas Trees and serve it with my favorite Marzetti® Veggie Dip. A go-to in my house this time of year is the Light Ranch because with all the sweets that get brought with those unexpected guests, I need things at light as they can come. 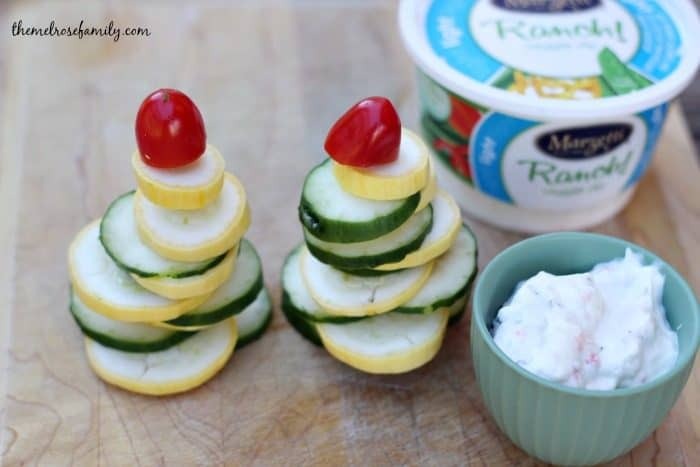 In order to create the Vegetable Christmas Trees, you’ll need toothpick skewers to create them. You can see in the video that you simply just rotate the veggies onto the stick and then serve standing up. You could make these with an array vegetables. They would look great with green and red peppers in slices too. It would just look like branches of a tree instead of full pieces of a tree. 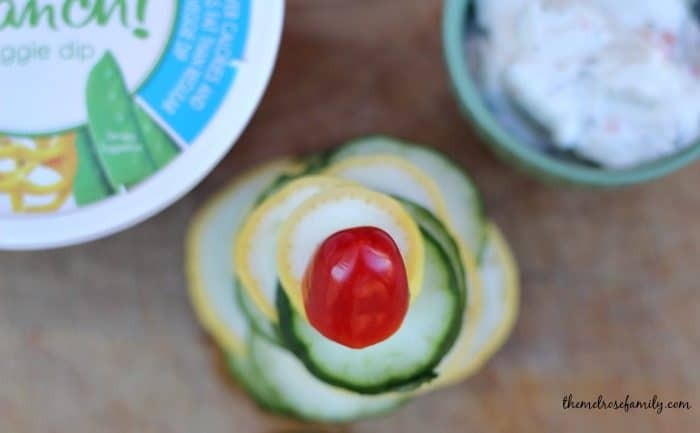 I love all of the flavors of Marzetti® Veggie Dips because they are always thick and creamy so they make the perfect dip to enhance the flavors of your freshest produce. Plus, you can feel good setting out an appetizer that isn’t fried or smothered in cheese. Last year we made our Christmas Tree Appetizer, but this year I wanted to keep the kids entertained so they help build these ones. Regardless of which you choose, you’re sure to excite your guests. Since we love Marzetti® Veggie Dips so much we only thought it would be a appropriate to do a giveaway for all of you. Be sure to enter below! You can also find more inspiring ideas on their Facebook and YouTube pages. I love the classic ranch! I like Balsamic Salad Dressing. My favorite has always been the ranch! I like their French onion dip. My favorite is the southwest ranch veggie dip. I like the Ranch Veggie dip best. I really like the ranch. I like Light Dill Veggie Dip. I have always loved the ranch dip. Thanks for the chance! My favorite is the ranch dip! Those look and sound delicious. My favorite is definitely the Caesar!